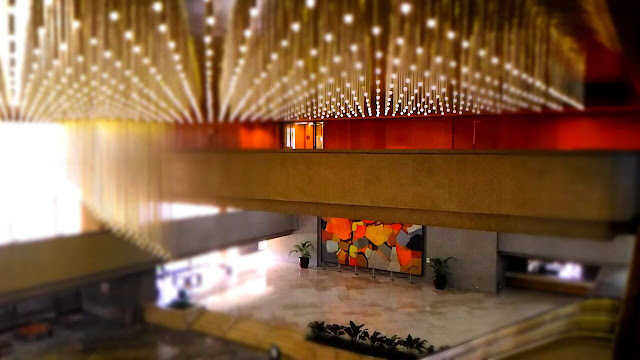 The Philippine International Convention Center (PICC) is one of the majestic structures at the CCP complex and is also a National Architectural Pride designed by Leandro Locsin. The 65,000 sq. ft. construction began in 1974 and was finished in September 1976. 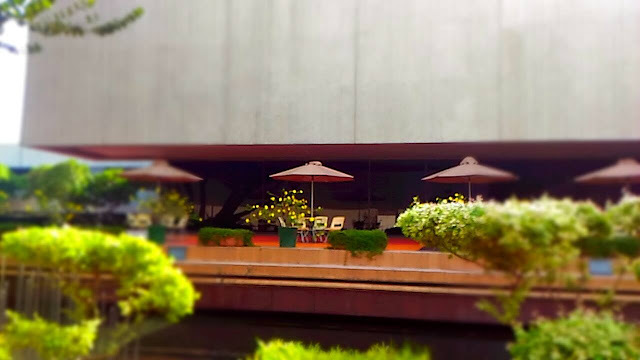 PICC hosted its first event on September 5, 1976 which is also its inauguration date. From then on, the PICC has hosted numerous local and international functions. The PICC is composed of five buildings namely: the Delegation Building, the Secretariat Building, Plenary Hall, Reception Hall, and the Forum. The spaces in each building can be transformed to suit any function such as exhibit, convention, or any special event like concerts and awards night. 1. 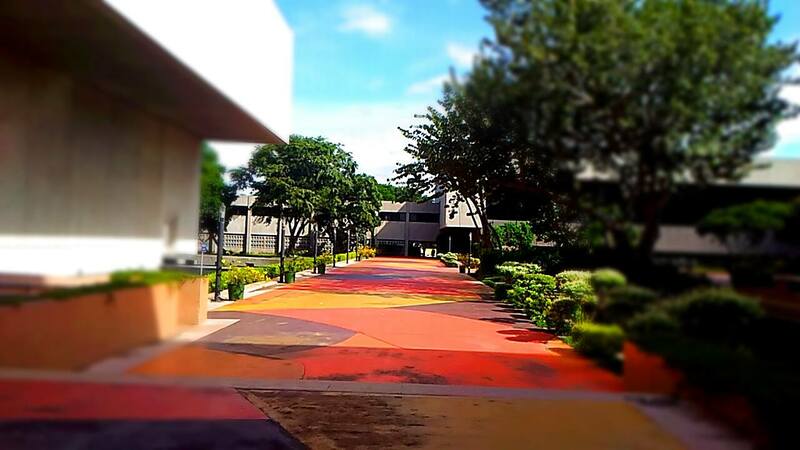 PICC houses one of the largest Jose T. Joya painting, "Ang Pagdiriwang," which measures 5.5 x 7 meters. This masterpiece was painted onsite by the National Artist because the canvas itself won't fit any of the doorway. 2. 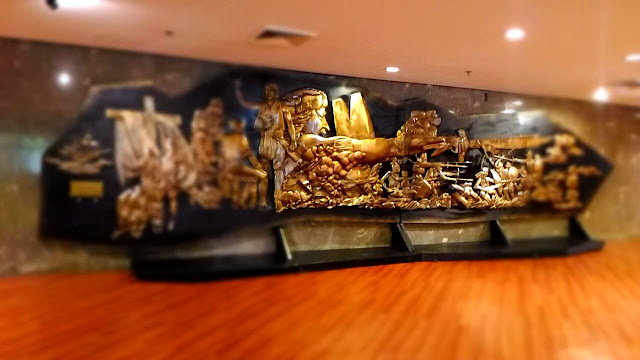 Designed by National Artist for Architecture Leandro V. Locsin, the PICC was originally made up of four building modules: the Delegation Building, Secretariat Building, Plenary Hall, and the Reception Hall. The Forum was a relatively new addition (2003), built to accommodate the requirements of convention organizers for an exhibition hall. 3. It took only 23 months to complete PICC from November 1974 to September 1976. 4. 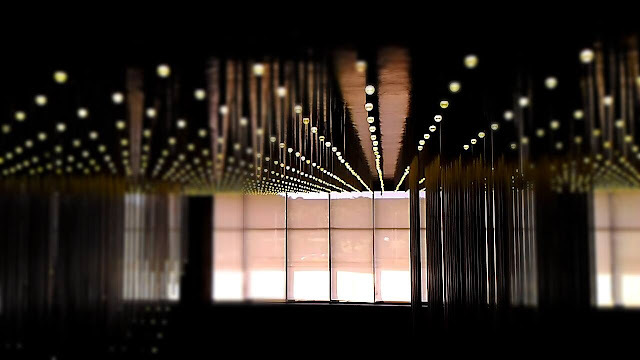 PICC plays hosts to about 400 events in a year. Some of the most frequent types of events held at the PICC are government events, corporate and association meetings and graduation ceremonies. Amongst the notable events held were the 40th ASEAN Ministerial Meeting, Post Ministerial Conference and ASEAN Regional Forum (2007), the 45th Annual Meeting of the Board of Governors of the Asian Development Bank (2012), and the Asia Pacific Economic Cooperation (APEC) meetings in 1996 and 2015. 5. 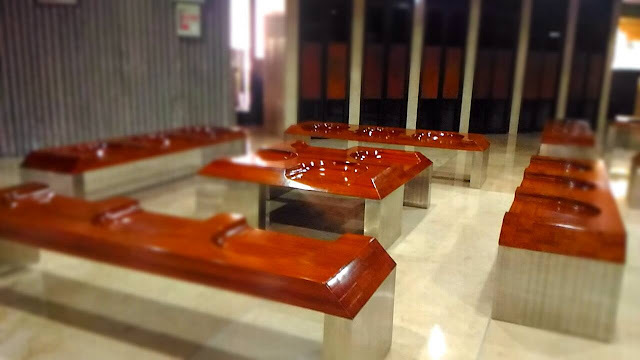 The historical walkout of the COMELEC tabulators during the Presidential Snap Elections in 1986 was held in PICC. This is said to have triggered the People Power Revolution. 6. The PICC has also hosted some of the best local and international music events- Lea Salonga, Ryan Cayabyab, Luciano Pavarotti, Josh Groban, Michael Bubble, and DJs Tiesto and Benny Benassi. 7. The grape-like chandeliers at the Reception Hall came all the way from Prague. This beautiful light fixtures is of the finest quality and totals 7,000 globules. 8. "Anito," the huge stone sculpture of National Artist Arturo Luz sits at the PICC Courtyard. This was carved and created on the area where it stands.